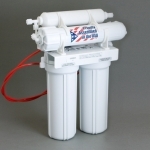 The Economy RO is a very high quality reverse osmosis unit from a top wholesaler and RO builder. We sell it "as is." We ship it in the box we buy it in and we don't make modifications. For a customized system built to your liking, try our Black & White RO unit. This unit is much better than the usual “big box store” systems, which often have undersized tanks, faucets, and filters. The advantage of buying from us is we offer complete phone and email support for installation and upkeep. We stock every part on the unit. This is a four-stage RO unit with two prefilters (sediment and carbon block), a 50 gallon-per-day TFC membrane, and an inline carbon post-filter. 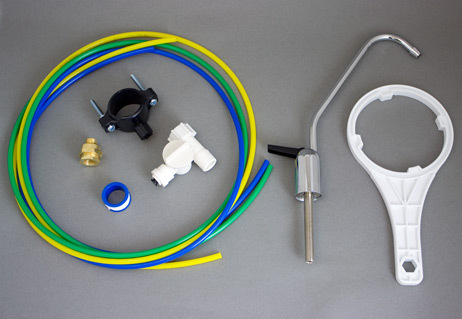 The system has a long-reach chrome faucet, a high-quality metal storage tank, and all the accessory parts you need to install it. 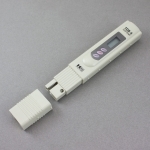 It has one-year warranty and complete installation and service instructions. Watts 50 gallon-per-day reverse osmosis membrane. Flowmatic filter and membrane vessels (the same parts we use in our more expensive Black & White RO units). Attractive, lead-free certified ledge faucet with stainless steel stem. Heavy-duty, full-sized storage tank — an NSF-certified part. 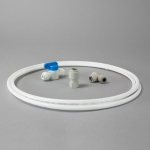 Inline capillary flow control system — the same as that used in the most expensive RO units. All connections are with time-proven Jaco compression fittings (a pair of pliers is the only tool you need). One-year warranty on all parts (excludes filter cartridges). Economy Reverse Osmosis Unit — $235. 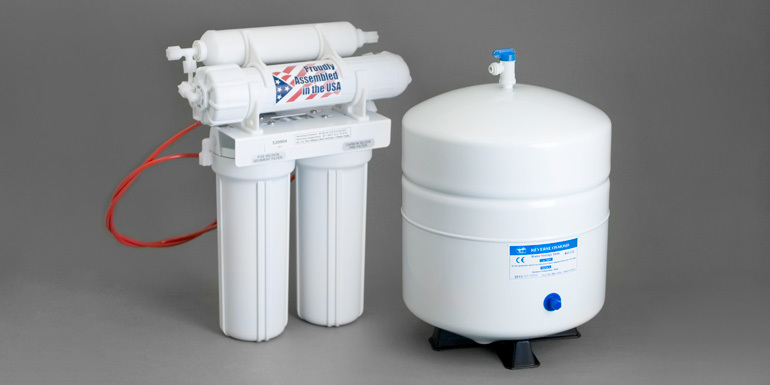 The Economy RO is a very high quality reverse osmosis unit from a top wholesaler and RO builder. We sell it “as is.” We ship it in the box we buy it in and we don't make modifications. For a customised system built to your liking, try our Black & White RO unit.